I love Olivia Palermo’s sense of style so much so that I look at everything she’s wearing in minute detail. And recently I noticed something new – she’s started to wear flared jeans. She’s not the only one to go for the 70s bellbottom trend. Poppy Delevingne was photographed in a cute pair during Paris Fashion Week. I’ve found a couple of options to copy this look. The good news is that they are both amazing value. 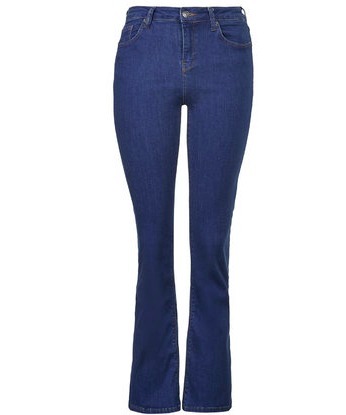 For a darker pair, the MOTO Jamie Flared Jeans from Topshop are just £40. At prices like this, you can afford to get them both!